We will not have a December Membership Meeting! All members and their immediate family are invited to the CWA Local 6132 Christmas Party. As of November 10, 2017, the Election Committee has concurred and provided the tentative results for the runoff elections for Vice President 1 and Chief Steward for Mobility. Vice President 1: Steven McNulty won by majority vote. Chief Steward Mobility: Sonia Lopez won by majority vote. The new officers and chief stewards will be sworn in at the January Membership Meeting on Thursday, January 11, 2018 at 7:30pm. By now, everyone should have their ballots for the election of new officers and chief stewards. If you do NOT have your ballots, and you are a union member, please call the Union Hall at 512-467-6132. Remember, your ballots must be received by October 9, 2017 to be counted. Tonight we will be accepting nomination for the offices of President, Vice President 1, Vice President 2, Secretary Treasurer, Chief Steward – Network, Chief Steward – Marketing, Chief Steward – Construction, Chief Steward – North, Chief Steward – South, and Chief Steward – Mobility. Please make time to attend the August membership meeting. We are in need of direction from you in order to move forward with plans to renovate the building. Please click on the event link. Tomorrow night during our monthly membership meeting, the Building Committee will be discussing the recent proposal on renovating the Union Hall building. The information is important and we will need input from you. Andrew Makela, a Premises Technician at Shultz Ln in Round Rock, has just been moved out of ICU at a California hospital. 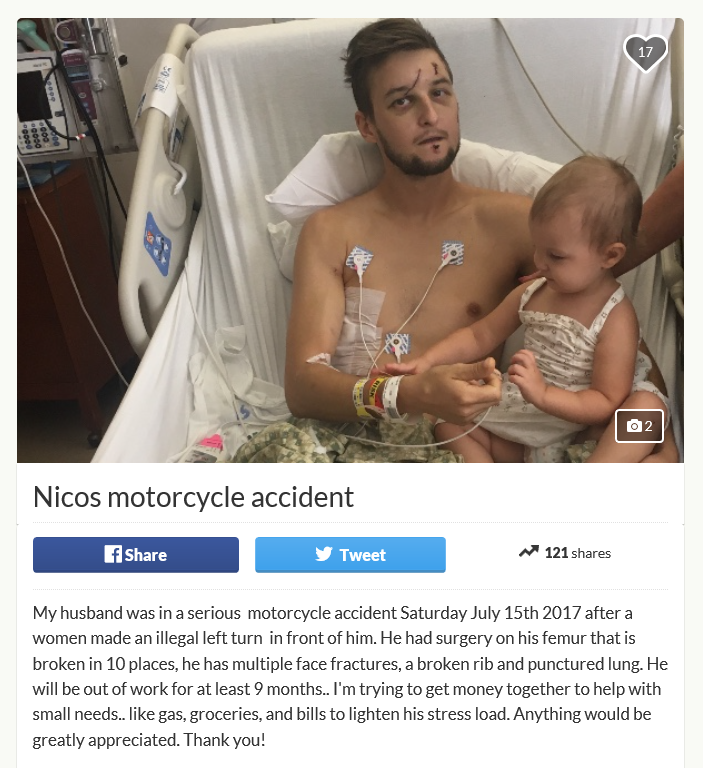 The family has started a Go Fund Me page, and are asking for a little help. 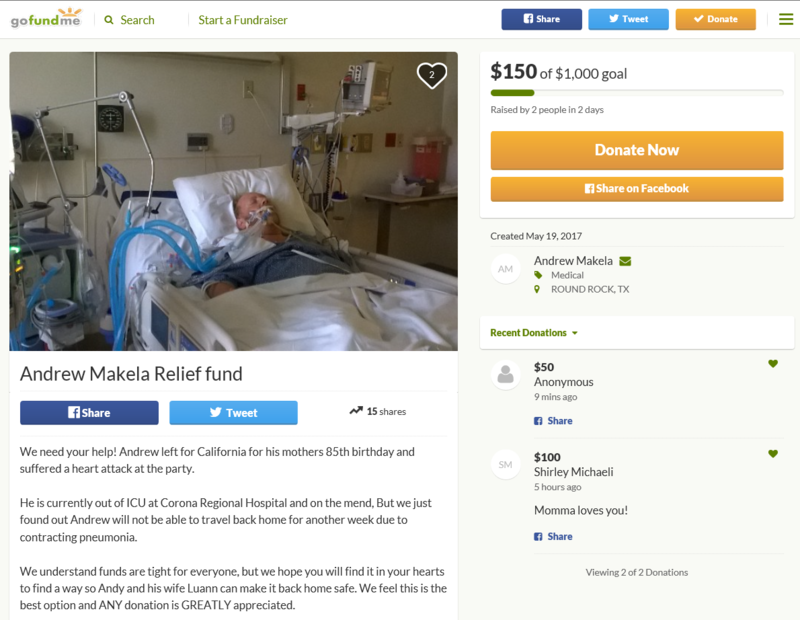 Please visit the site and give what you are able, and let’s help Andrew’s family get through this. 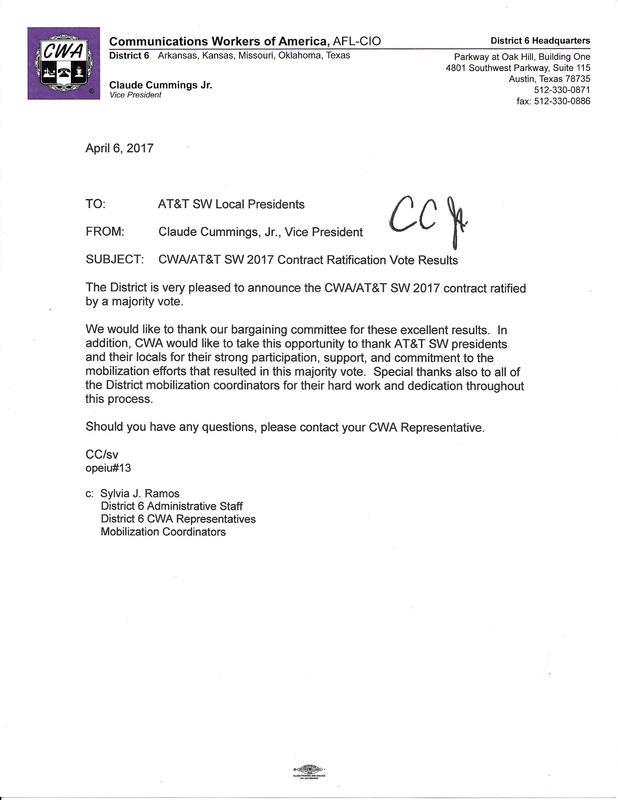 This is the letter we received from CWA District 6 last night, stating that the 2017 Southwest Labor Agreements has been ratified.